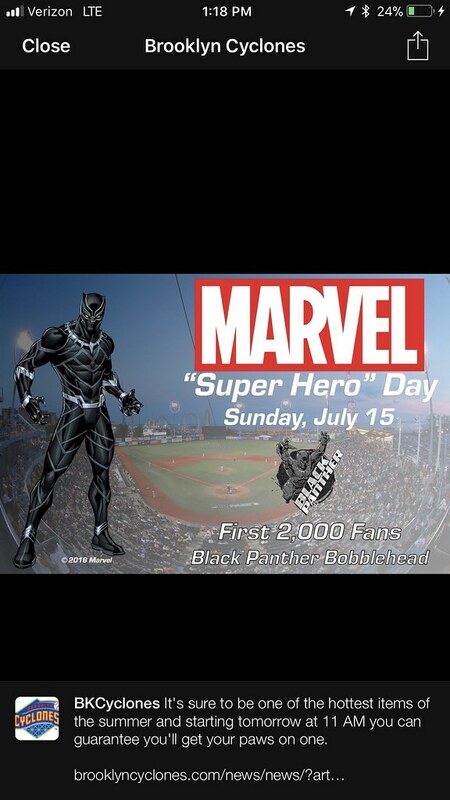 The Cyclones and Marvel will join forces on Sunday, July 15th for Marvel "Super Hero" Day featuring Black Panther. That day, the first 2,000 fans through the gates for the 4:00 PM Game (Gates open at 2:00 PM) will receive a Black Panther Bobblehead. BUT, starting Thursday, March 22nd at 11 AM fans will have the chance to purchase a limited edition package for $35 which will GUARANTEE a bobblehead and include tickets for July 15th and Wednesday, August 29th. This is sure to be one of the hottest items of the summer, so be sure to act quickly and guarantee your bobblehead. (A Limited Number of "Avoid the Line" Packages will be available for the game. 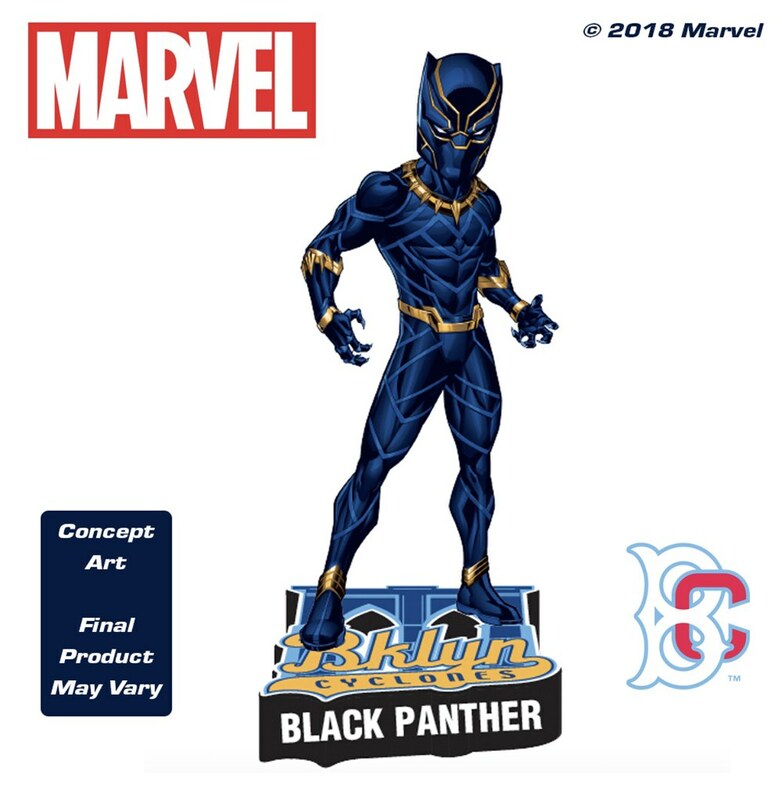 The first 2,000 fans in attendance will also receive the Black Panther bobblehead).